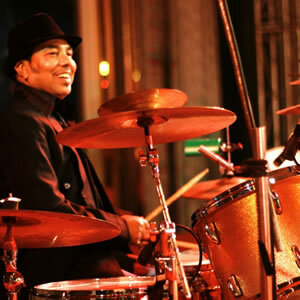 Subhasis Roy is a professional drummer and percussionist since 1992. He started his career as an accompanist with Bollywood Playback Singer Udit Narayan & Kavita Krishnamurthy. He has played with legendary artists like Asha Bhonsle, Kumar Sanu, Sonu Nigam, Abhijit Bhattacharya, Sankar Mahadevan, Sunidhi Chowhan etc. in several shows in India and worldwide.He is also an expert in multiple instruments such as, Djembe, Darbuka, Ganjira, Duffly, Bangla Dholak, Folk Drums, Timboli Drums etc. He has performed in many countries like USA, Canada, UK, Holland, West Indies, Dubai, Muscat, Bahrain, Sharjah, Hong Kong, Bangladesh, Nepal, Bhutan etc. Madhuraa Bhattacharya, a very well known playback singer & performer in the Film & Television Industry has been singing professionally since the year 2005. In 2006 she was in top 10 for music competition "Unish Kuri Madhur Kantha", was selected for 2007 Indian Idol 3 and runners up in 2009 All India Music competition "Sitaron ko Chhoona hai". In 2016, Madhuraa was awarded Best Female Playback Singer 2016 for the song Moula from the Aparna Sen movie Arshinagar. She made her debut in the Bengali Film Industry in the year 2008 with the film "Mahakal" and worked with renowned Tollywood & Bollywood Music Directors like Jeet Ganguly, Indraadip Das Gupta, Debojyoti Mishra, Debjit Roy and many others. As a professional singer she has worked with notable singers such as Udit Narayan, Abhijeet Bhattacharya, Kumar Sanu, Babul Supriyo, Shaan, Shafqat Amanat Ali, Zubeen Garg, Javed Ali, Ankit Tiwari, Rupankar bagchi, Raghab Chatterjee and Arijit Singh. 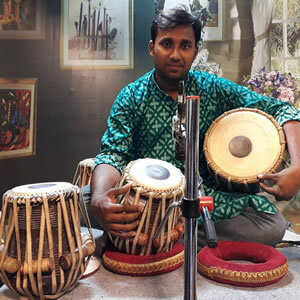 Dipayan Banerjee, started learning music at the age of 5 and has learnt from well known musicians like Smt.Subhamita Banerjee, Shri Aniruddha Bhattacharya, Anirudhha Bhattacharya and Shri Pradip Halder. He competed in inter-school competitions at a very young age and performed in various prestigious musical competitions like Murari Smriti, TTIS Championship, etc holding the first place each time. Dipayan was selected for the reality show 'SUR SANGRAM' in Mumbai and was one of the top performers in the 2012-1013 Zee Bangla SaReGaMaPa. As a professional singer she has worked with notable music directors such as Joy Sarkar, Raja Narayan Deb, Arindam, etc. Pritam Chakraborty is a professional drummer and percussionist since 1992. He started his career as an accompanist with Bollywood Playback Singer Udit Narayan and Kavita Krishnamurthy. He has also played with legendary artists like Asha Bhonsle, Kumar Sanu, Sonu Nigam, Abhijit Bhattacharya, Sankar Mahadevan, Sunidhi Chowhan etc. in several shows India and worldwide. He has performed in many countries like USA, Canada, UK, Holland, West Indies, Dubai, Muscat, Bahrain, Sharjah, Hong Kong, Bangladesh, Nepal, and Bhutan. Subhojit Mondal has been an ardent music lover since childhood. He took music lessons from renowned musicians such as Shri Supriyo Dey, Partho Pal and Gaurab Dutta. 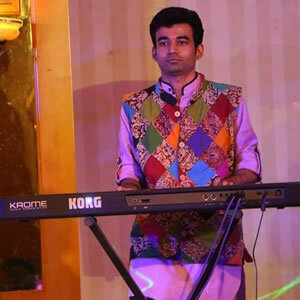 It was during his college days when he developed his love towards piano and keyboard and has been playing professionally since 2009. 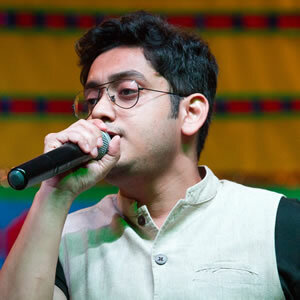 Subhojit is currently playing keyboard at Kolkata based folk band ‘Kaya’ and works as a freelancer. He has performed in many countries like Dubai, USA and Thailand.